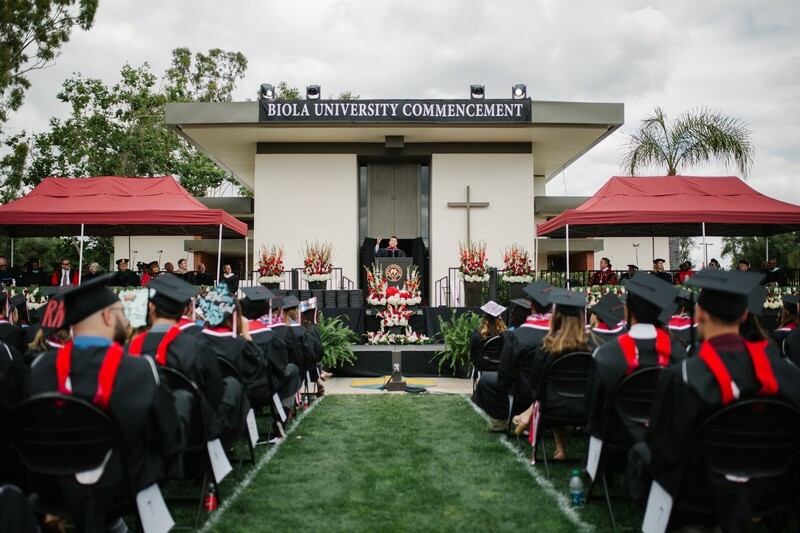 On Friday, May 26, 2017, more than 200 graduate and 700 undergraduate students graduated and walked across the stage in Biola University’s spring 2017 commencement ceremonies. President of the National Christian Hispanic Leadership Conference (NCHLC), Rev. 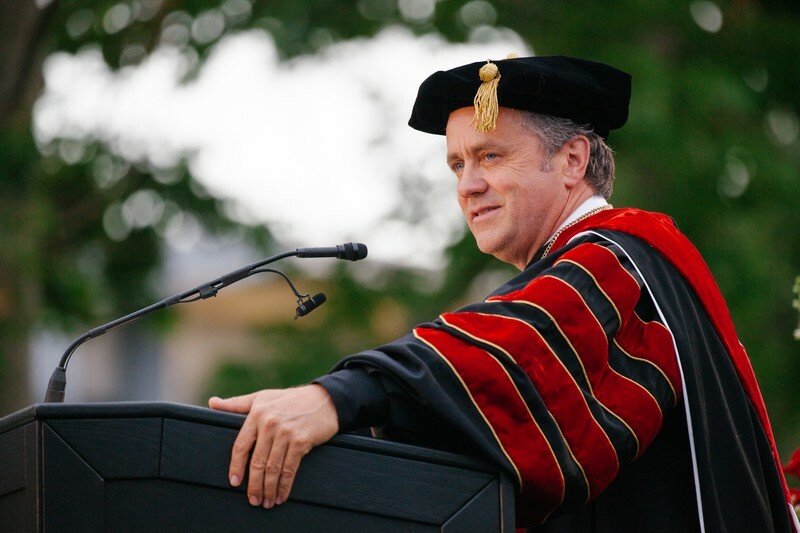 Samuel Rodriguez, delivered the commencement address during both spring ceremonies. Rodriguez serves as a representative voice for the more than 100 million Hispanic evangelicals assembled in over 40,188 U.S. churches and over 450,000 churches spread throughout the Spanish-speaking dispersion through his role at NCHLC, the world's largest Hispanic Christian organization. 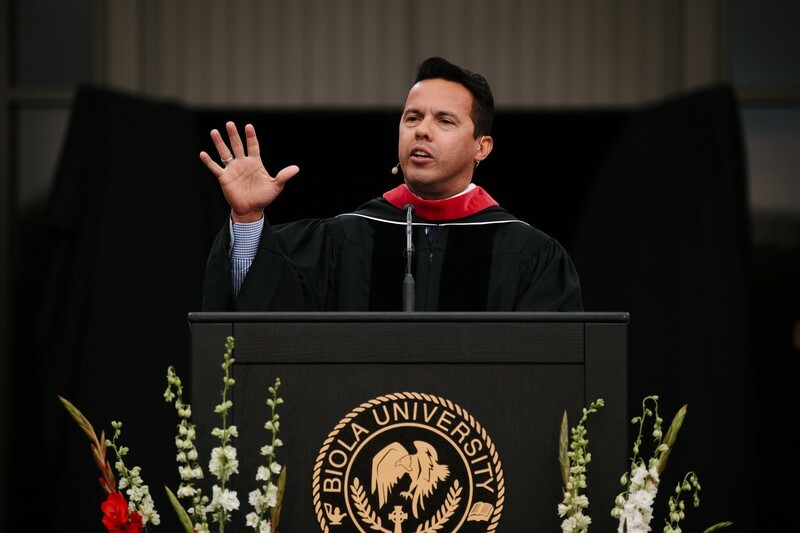 During his commencement address, Rodriguez encouraged Biola graduates to be light amidst darkness. “Because we live in dark times. Some argue that we live in the darkest hour. Darkened by sin, immorality, moral relativism, spiritual apathy … Yet graduates you will not be defined by the darkness of a spiritual Genesis 1:2. You will be defined by the redemptive power of Genesis 1:3, ‘Let There Be Light!’ For in midst of this darkness stems a prophetic truth, a revealed truth, an everlasting truth uttered by our Savior,” said Rodriguez. 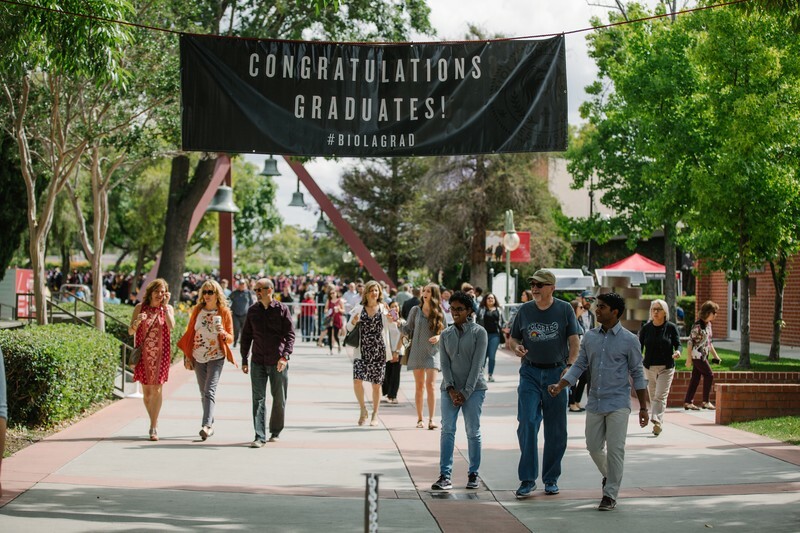 He reminded graduates of their true identity in Christ — that they are not defined by their circumstances or background. 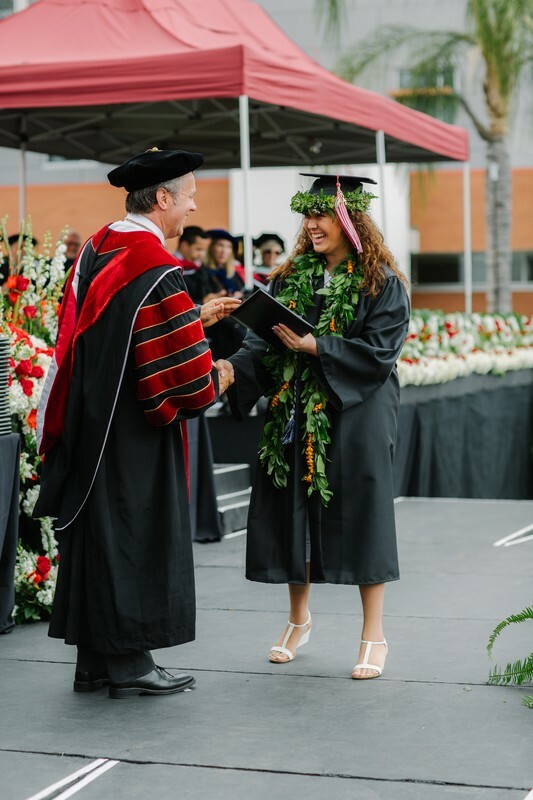 Of the students participating in the ceremony, Biola inducted 40 undergraduate students into Biola’s honor society, Epsilon Kappa Epsilon — a prestigious award given to students who have excelled in academics and in community involvement during their time at Biola. 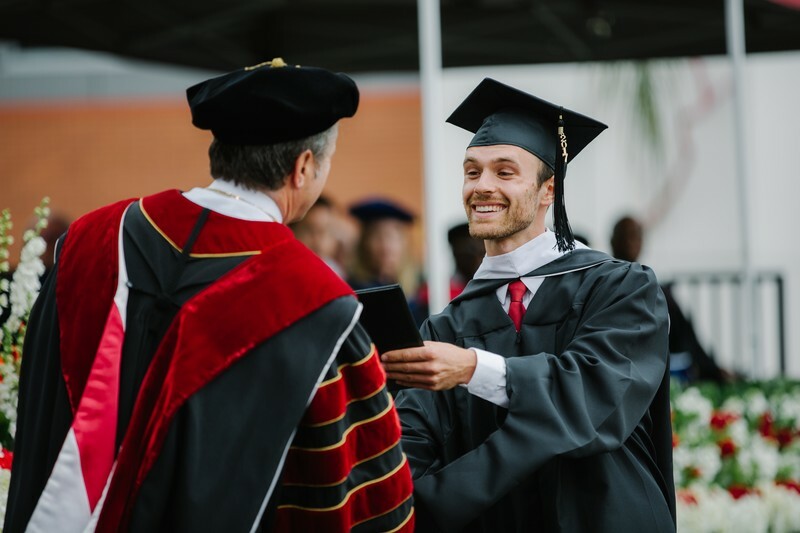 For the first time in university history, Biola awarded a posthumous degree. The degree was awarded to Hasiet ‘Joy’ Negash, a beloved student who passed away in January 2015. 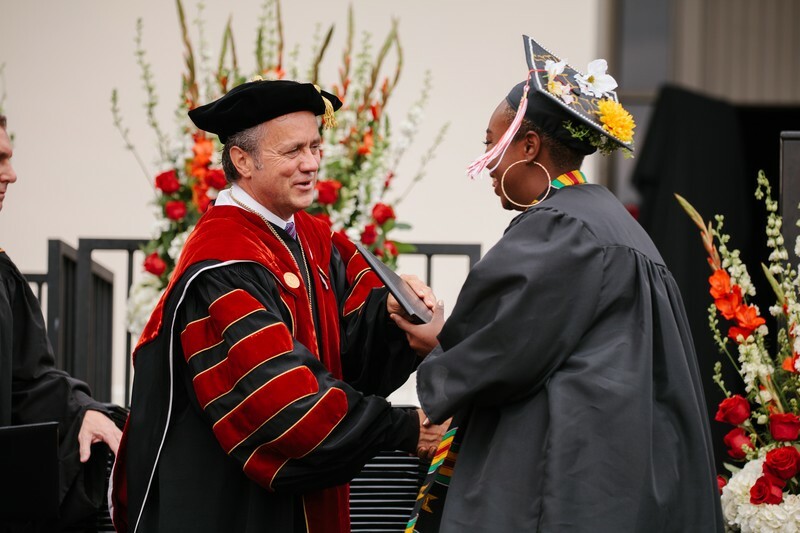 Members of her family were present to accept the diploma from President Barry H. Corey during the 7 p.m. ceremony. Rodriguez currently serves on the board of directors of some of America’s leading evangelical organizations such as Gordon Conwell Theological Seminary, National Association of Evangelicals, Empowered21, PCCNA and Christianity Today. As an award-winning author, Rodriguez contributes to well-known publications such as the Washington Post, Outreach Magazine, Christianity Today and others. He is also regularly featured on CNN, FOX, NBC, The Wall Street Journal, The San Francisco Chronicle and more. Both ceremonies took place on Metzger Lawn. 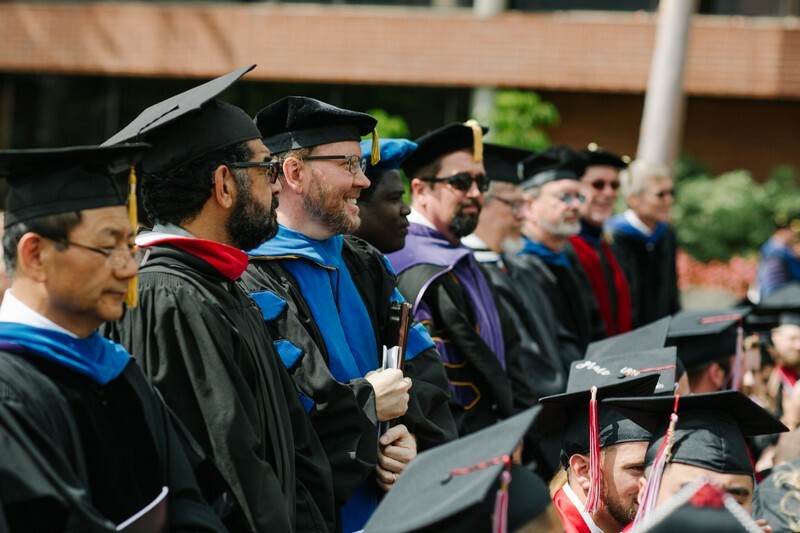 The first ceremony at 10 a.m. included Cook School of Intercultural Studies, Rosemead School of Psychology, School of Science, Technology and Health, and Talbot School of Theology. 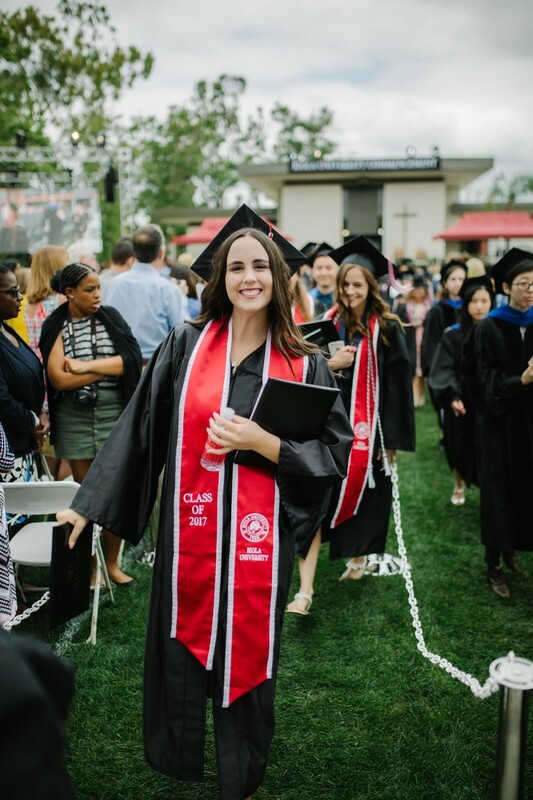 The second ceremony at 7 p.m. included Crowell School of Business, School of Education, School of Fine Arts and Communication, School of Humanities and Social Sciences. 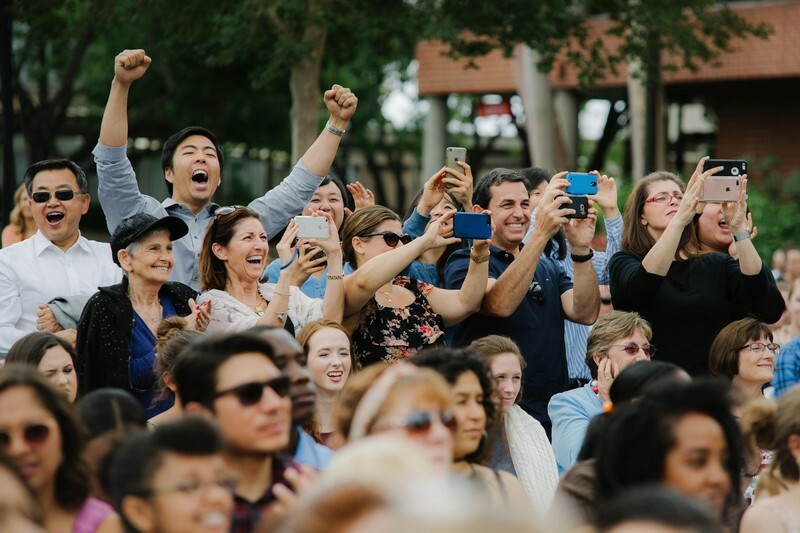 A livestream of both ceremonies was available for those who could not attend in person to watch. 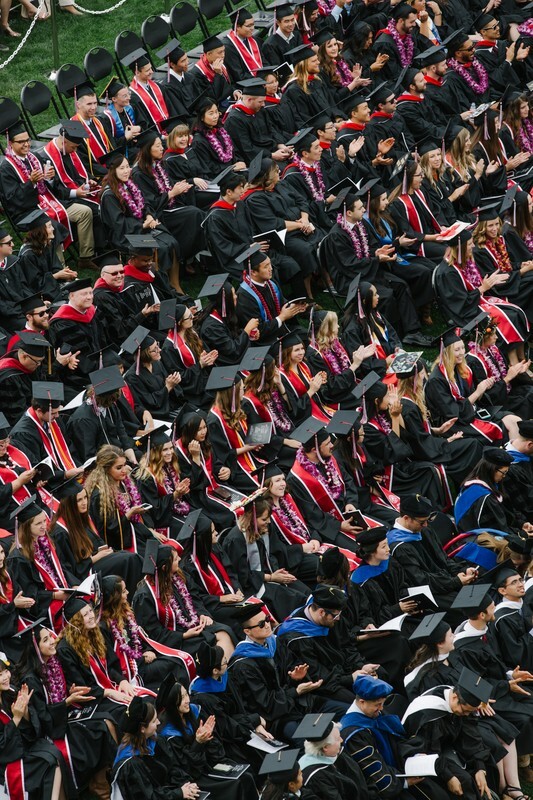 To purchase a DVD or digital download of the ceremonies, visit the commencement website. 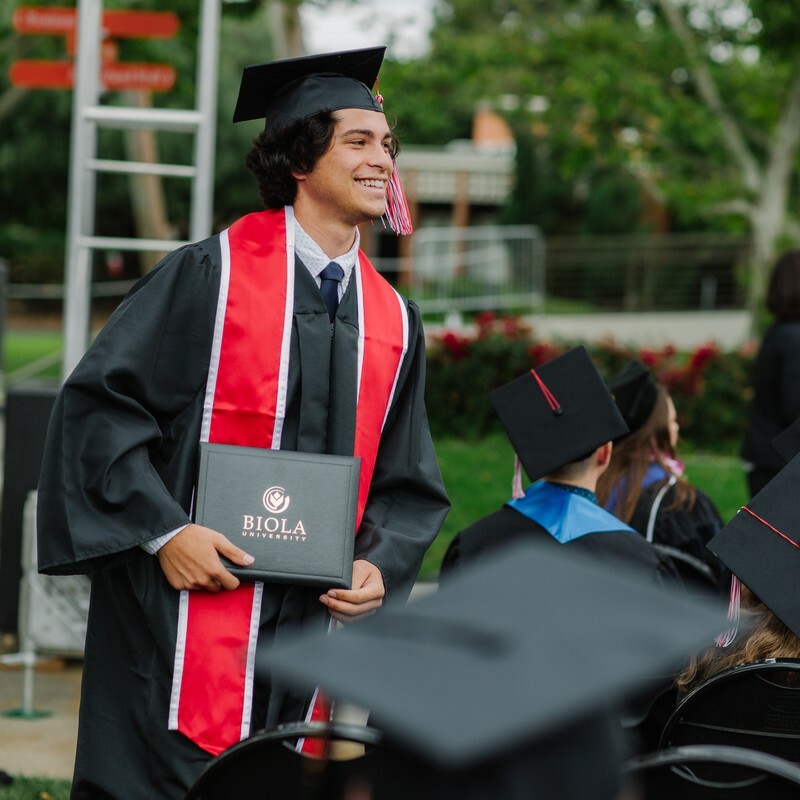 For more information, please contact Jenna Loumagne at (562) 777-4061, or by email at jenna.loumagne@biola.edu.